Toddler Approved! : How Do I Stop My Toddler from Throwing Things! How Do I Stop My Toddler from Throwing Things! Each day many people submit reader questions to be answered on our Toddler Approved Facebook page. Parents often ask for tips regarding toddlers who throw sippy cups and toys or throw food or other objects. A few weeks ago my toddler started throwing things at people. 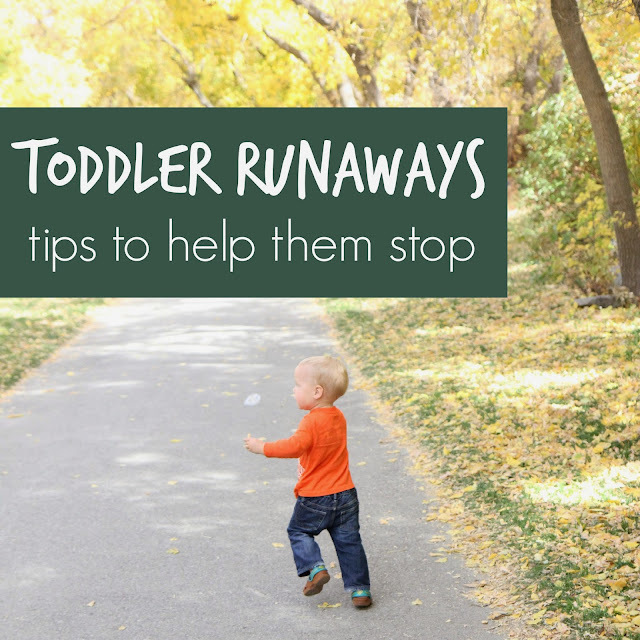 Today I am going to share some simple tips for helping your toddler stop throwing things! These are some of the strategies that we've been using with my toddler that have been helpful. 1. Recognize the behavior is a call for help or trying to communicate something. The first thing you need to recognize is that toddlers are still learning and many of their challenging behaviors are their way of trying to communicate something. They may also just be exploring the materials that are around them and trying to figure out their uses. When you figure out why your child is doing a particular behavior it makes it much easier to help them stop it. For example, I've noticed when I am distracted and ignoring my toddler, he sometimes throws toys at me to get my attention. I've also noticed that he's thrown really hard round objects at his siblings that he thought were balls to throw and catch with. It is really hard not to take toddler behavior personally sometimes... especially if the toddler does something that hurts you or a sibling and does it repeatedly. When you take behavior personally you often react to the behavior more emotionally than you should and can potentially escalate the situation and do something you regret that causes harm to the child and you can reinforce the behavior and cause it to happen more frequently. By overreacting to toddler behavior I've found that kids increase the frequency of the behavior because they like the reaction they are able to get and the power they feel they have over the situation (and your emotions). Instead of reacting to behavior, recognize that your child is communicating that they need help, and respond calmly and as confidently as possible. Take some deep breaths. Don't respond immediately if you can't be calm. When you respond to kids who throw things do it using simple language that is age appropriate for the child. I like to clearly explain to the child what they CAN do with the object that they are throwing and what I won't let them do with the object. For example, "Blocks are for building. I can't let you throw them at your sister." With my kids I usually like to pair my words with actions and show the kids what I mean. So, I'll take the blocks from my son and build next to him and say "Blocks are for building. I can't let you throw them. Let's build together." If my son continues throwing the blocks I'll remove them. If my son is throwing food at dinner I'll say, "Food is for eating. I can't let you throw it. If you're throwing your food you are done with dinner." My son is around 2-year-olds and responds to this much language. For younger kids I would use less language. I like to make sure I make the consequences clear so that my kids have a chance to change their behavior and make a good choice. If my son is throwing his sippy cup off the table I'll let him know that if he throws it, he is done with it. If my son is throwing toys or blocks and can't make a good choice to use them appropriately, then I'll remove them and we'll try again later. If my son throws toys near his sister or is throwing other objects at her and he doesn't choose to use them properly then I will say something like, "It looks like you are having a hard time. I can't let you hurt your sister. We can come back when you can be safe." Then I will remove him from the play area by his sister and we'll try again later. Often my son will be super annoyed about the consequences (me making him leave the toy room or losing the blocks or losing his sippy cup). He may cry or get angry. At our house that is totally OK as long as he is being safe and not hurting himself or others. I can say supportive things or I can just be quiet and stay nearby while my toddler is angry. In our house I don't put my toddler in time out because I don't believe that time out is effective. I just move my toddler away from the item he wants to play with and stay close by. After or sometimes during an emotional response or tantrum I will acknowledge my toddler's emotions. 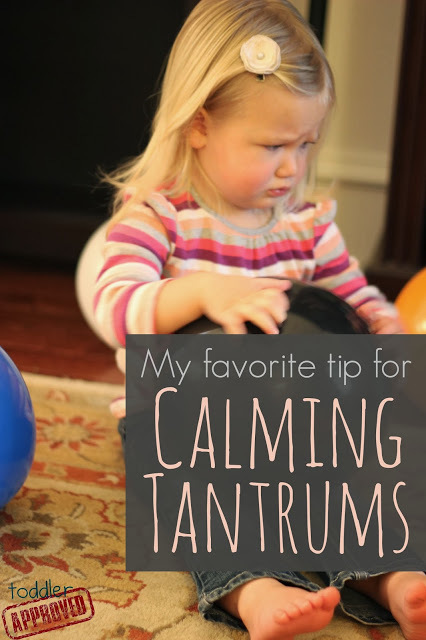 I wrote more in detail about acknowledgement in my post sharing my favorite tip for calming tantrums. Simple acknowledgement helps toddlers (and bigger kids) realize that their big emotions are OK and helps them release them and move through the emotions faster. 8. Give them options for what they CAN do. Often when a tantrum is over we do some teaching and I talk about where and when my son CAN throw things (and what he CAN throw)... like basketballs (outside) or soft squishy balls (into a basket). I like to focus on what he can do instead of just saying "No" or "We don't throw things." Sometimes kids are just exploring the materials in their environment and don't know what they can do with certain objects. By focusing on telling them what they CAN'T do they don't learn anything. I keep a basket of specific soft objects that my son CAN throw so it makes it easy to explain that we can throw those items, but we can't throw blocks or things that hurt. If my son is throwing things to get my attention (or his sister's attention) then we also might practice how to appropropriately get attention. I'll even role play sometimes with my bigger kids. We'll practice saying, "Come play with me" or touching someone on the shoulder and saying, "I want to play." I've found that often my son doesn't know the right words to use to get his sibling to come play... but once he is taught, he stops throwing things and uses his words instead. Lastly you really just need to be patient. Most behaviors aren't going to go away overnight. Kids are testing and need to see that you mean what you say... so keep being consistent and CALM and help them realize that you are confident and in control. 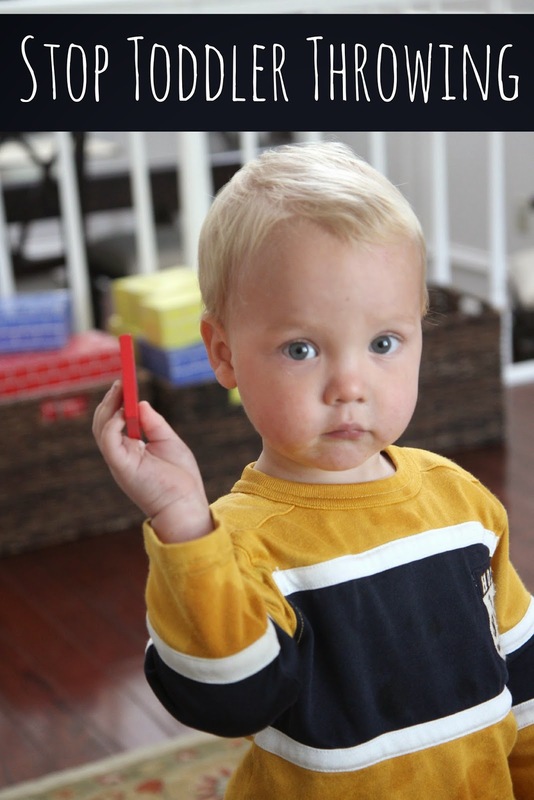 Do you have a toddler that throws things? What do they throw? Have any additional positive tips to add to this post? Want more ideas for dealing with toddler discipline, check out this book we love from Janet Lansbury called No Bad Kids:Toddler Discipline without shame. 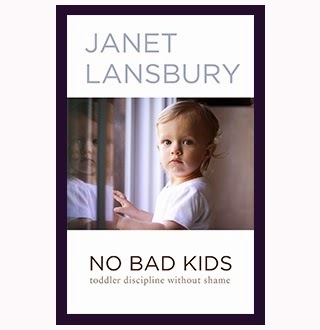 You can purchase No Bad Kids: Toddler Discipline without Shame here on Amazon. You can read our review of the book here. If you have a parenting question that you'd like addressed, feel free to submit it here to be posted on my Toddler Approved FB page or come join our Positive Parenting FB group where we discuss challenging toddler and kid behaviors daily. Great post! I have one question though...if your toddler throws his food after you give him a chance to stop, do you really take it away for good? I struggle with this, because I feel immense guilt when he tells me that he's still hungry or wants his food back. Yes I do. It only has to happen once or twice and he doesn't do it again. My toddler doesn't have any serious eating problems or growth problems, so he'll be ok if he has to wait until the next meal. I will say if you don't stop throwing the food Mommy is going to have to help you eat it. Then i follow through with that if they keep throwing the food. I noticed when I want paying attention to my son he was throwing things. Since I acknowledge that I've changed it. However he throws toys at my mom. She overreact and she expects me to yell or hit him. And I can't have an adult conversation with her about this. I've tried explaining why he does it and how to handle it but she must gets mad. That is really hard Anonymous especially since your little one is unlikely to change the behavior if he is able to get such a good reaction from grandma. Does he like his Grandma? Is he trying to communicate something by throwing toys at her? Your mum wants you to HIT your child? Then she is the one who needs to be told off. Great post, especially the trying to communicate something. I found that I helps not to say 'we don't' but 'we do', the word NO doesn't always have meaning so my son only hears 'throwing' not 'stop throwing' or 'gently put the toy down'. Together with saying (as you mentioned) what behavior I do want seems to help. That is hard Anonymous! My kids have gone through phases like that and I make it very clear that when they are playing with sand or dirt by others they can't do that. However, I will set up sand play at home in our backyard and they can play however they want when no one else is nearby to get hurt. That has helped. You can't tell them not to do it in public but its ok to throw sand at home. Too confusing for them. Same with toys. Cant tell them they can throw these soft ones but not these hard ones. You need to be consistent with your message to toddlers. Keep it simple. I have an almost 2 1/2 year old. He's non verbal and has Autism and he got it. Ex.. "Don't throw that in the house (hard ball). You can throw this one (soft ball). So I took away the hard one away and at the same time, handed him the soft one. (It only took 110 times telling him.. hah) Actually, you're right about consistency, that's truly the key, but never underestimate your little one. They can do more and understand more than you think. They're not so easily confused. My almost 2 and a half year old little boy throws things at the little boy I watch when I leave the room. He knows that he shouldn't throw things because it hurts his friend, but he thinks its funny. In some regards I think he's trying to communicate with the little boy, but he does it when I leave the room. Great article. My daughter is 14 months and has started throwing her food. She loves to see it fall on the ground. At this age is it ok to take away her food or is she too small to understand the consequences of throwing food. my daughter is 15 months and I have a hard time taking her food from her because I feel like she won't be eating enough. she's not a terrible eater but she's not the greatest either. sometimes she'll eat all of her food, sometimes she'll only take a few bites but want snacks a few minutes later.. not sure what to do!! I found fun ways to practice throwing with my daughter (22mos) and used the learning time in my dicipline when throwing was inappropriate. Children experiment with throwing not always out of emotional distress or bordom, but more.because they are learning about the world around them. Gravity works- and its fun to hear the sounds, watch things break and bounce and also fun to play with pets and siblings or experiment with reactions of people around them. Practice throwing a ball for a dog. Place 3 buckets in front of your child and practice tossing the ball. This water balloons outside or in the shower (as long as you have a shower door. Drop.plasticware into different bowls, cups, tins... plastic vs glass vs metal. Make "music" in the kitchen while you cook and your child plays with a wooden spoon and tupperware. Just a thought... worked for us!! Yes! I agree with this approach. If the child is throwing, allow for it within an appropriate context (i.e. "Blocks aren't for throwing. Here, have a ball! Balls are for throwing!"). In my experience the action of throwing is what is interesting, so I try and facilitate that in an acceptable way. I have a 15month old that throws her Pacifier or toy when she doesn't get her way.or if we stop at the store and i run in while everyone stays in car she will throw pacifier across the car. Hopefully, the "everyone" who are staying in the car includes another adult. There is an article circulating about a woman facing years of legal prosecution and arrest for leaving her son in the car while she "ran into" a store. Don't do it! To a certain extent, I think there is no harm in throwing things. My 13 month throws toys, books, food, and there is no malice. It's just experimental play. She likes to watch things drop to the floor, she likes to see how far she can throw, she likes to see what noise things will make when they land. If she's doing something dangerous, I tell her no, and take it away, otherwise, I let her go for it. Sometimes I make it into a game, and she will soon learn what's allowed and what isn't! This is great! My 2 year old always throws stuff at me.. usually after I tell her no. I will try these tips. 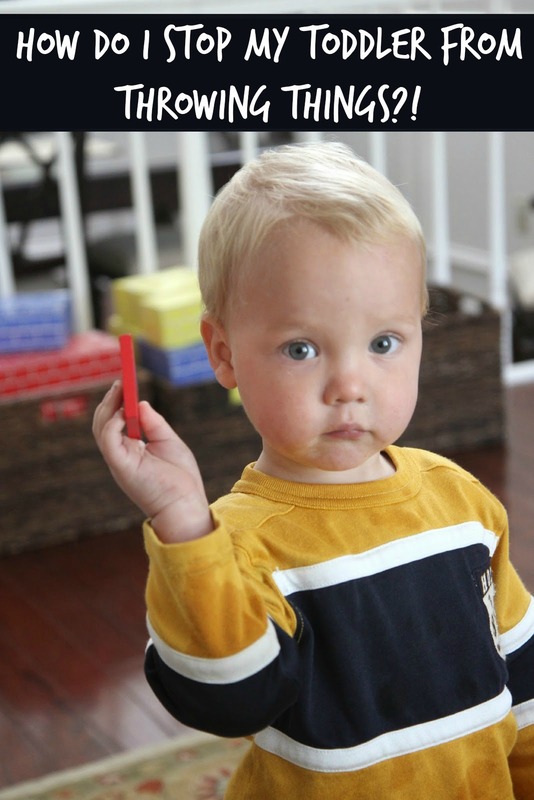 Toddlers love to throw- it's a natural developmental phase that is fun for them! It's a new skill they are practicing too, we have a dog who loves to fetch and I do childcare- the 13 month old I have now hasn't quite developed an overhand throw; she will lift the ball into position but then just let it fall. So to 'get it out of their system' when indoors, we throw stuff AT each other. We use a supply of baby washcloths from the dollar store (usually $- for a pkg of several) or balls of crumpled up newspaper. I cannot tell you how much they enjoy this! Lots of laughter. And the. When they want to throw something hard, I have a reference 'only washcloths, because they don't hurt' and can even offer one right then. I am definitely going to try to do these steps more efficiently. I feel sometimes I am not as consistent and I feel like that is a huge issue. My son throws food and sippy cups. I feel like he does it more after he is done eating and feeling full and feels like he needs to throw his food to tell me that he is done. Thank you for this post!! How about toddlers who throw items when it's nap or bedtime (she frustrated and doesn't want to go to sleep)? We give plenty of "warnings" "5 minutes until we go upstairs to read a book and take a nap" etc. I have tried all this with my 2.5 yr old. He throws everything he gets his hands on or walks up to stuff and knocks it down. We give time outs we tell show him how to play with the toy or how to set his cup or fork down and still it goed flying through the air. It is to the point that I dread going out to eat or over someone's to visit. My son is the same age. Early intervention said he has sensory processing disorder, so his muscles/joints are seeking the motions of throwing/being rough. My son also doesn't speak much. It is very frustrating to deal with. Has anything changed with your situation? Hello... My son throws everything he can everytime he gets mad.. I telling stop he doesnt.. I send him to time out he throws everything around him.. Mom talks laud.. Nothing stops him. Hello ,my daughter is one year and 2 month she always througth her bottle when she finish ,so i am supposed to search for the bottle 3 times a day under the bed or tables so how can I deal it please. Yes or you could teach her to place it next to her crib or somewhere else specific where you want her to put it and then give her a lot of praise for putting it in the right place. You could also just have her drink her bottle before bed so it isn't an issue. our pediatrician recommend sippy cup @8months so we be done with bottles by 1yr. try. only giving drink at meals. why your child need 3bottles? they don't eat? bottles at bedtime are no no. finish bottle thenlay them down. You might have a rule that sippies and bottles have to stay at the table or maybe have her sit on the floor in the kitchen. Then begin training her to put her cut on the table if she can reach it. With Gigi I constantly talk to her "put your cup on the bench when your done & go play". Yours may not understand at 14 months & that's OK - she is learning to understand language, follow directions and the way you expect her to care for her things as she gets older. If she walks off w the bottle just say "oops let's put your bottle on the bench so you know where it is". Do the same with her toys - before you allow her to get more toys out - "let's put your blocks away and we'll get out a story to read", etc... You have to be ultra consistent, involved w your child and patient but in the long run it is so important. When my daughter is told no to something she will get mad and go do something else she knows will get her into trouble. She is very blatantly misbehaving. I continue to redirect but she goes back to it. This is one of the first articles meant for universal consumption that sums up how to deal this unwanted behaviors in children. If you just read the numbers bold text, it could be the sheet I left for subs in my self-contained Emotional Disturbed class for 6-8th graders. My 2 and 1/2 year old son, often does not respond or heed me when we are playing together. We have had his hearing tested. He is so involved in play that he ignores me. I want to sort buttons into colours and he continues to place them in a row. How can I get him to focus on me so I can teach him colours shapes etc. My ADHD 8 year old totally zones out the environment around him. I'm not saying your little guy has it but ignoring the environment around him may be a symptom of that. I hope that makes sense. Maybe he's not interested in colors and shapes right now. Maybe he is interested in patterns and lines. He's learning something in his own way, and I think I'd just let him go with it (as long as he isn't putting the buttons in his mouth). Gigi has recently started hitting and throwing things if she doesn't get her way & screams the whole time. I've just started walking away. If it's really bad she gets put in her packnplay where her binky is to soothe and occasionally she goes to sleep. She tends to get difficult when she's tired or not feeling well. Today I caught her throwing my kindle because she couldn't get the Daniel tiger goes potty game to work right - and since is told her she couldn't play with it if she threw it she doesn't get to play w it. I do a lot of natural consequences w her as well as PP time w her binky. And we hardly go anywhere - at least till this phase is over. Her speech is very advanced at 27 months so hopefully it won't be to long. For throwing indoors I bought the biggest white Pom Poms I could find and we have snowball fights indoors. I also have a bunch of rice bags (like bean bags) that I made and let the kids throw them at each other (not hard tho). Everyone from Gigi who was maybe 18 months when we started to the 8 year old loves it!! I think everyone is taking this "throwing problem" too lightly. It can be very serious if something that can be dangerous is being thrown. My grandson threw a toy that hit me extremley hard on the bridge of my nose, which caused nosebleeds and a black eye. My point is, if they are not taught at home not to throw things (anything) then in public you may have an issue. There are people among us that seek to file lawsuits for anything at all. Thanks for this. I realize that we need to give him more good things to throw, like soft things and balls.